That time has come. Next week my baby will be done pre-school. It feels like yesterday that mat leave was over and he started daycare. 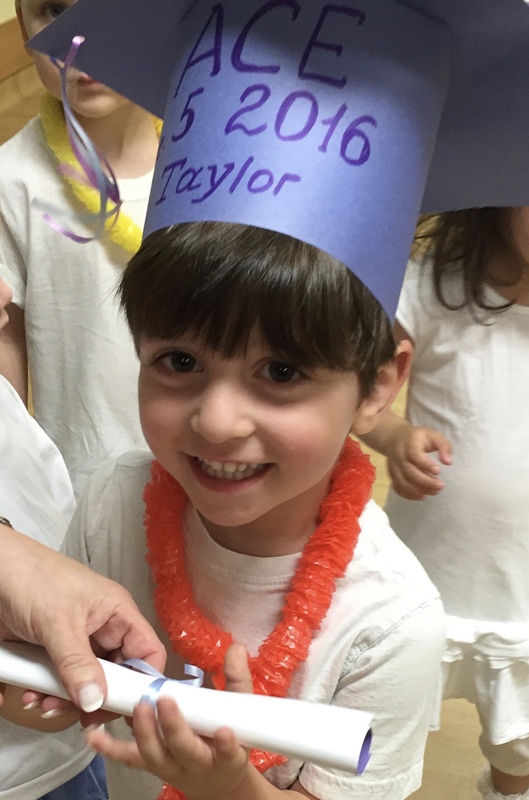 Now, it’s just about the end of August and my last baby, who isn’t a baby anymore, will be done and start Junior Kindergarten (holy s*%t). To be honest I don’t know if I should be overjoyed at the fact that there are NO MORE DAYCARE PAYMENTS (can I get an AMEN?) or if I should cry knowing my little one is growing up too fast and starting public school. My last baby is off to JK. Sometimes it is really hard to believe. 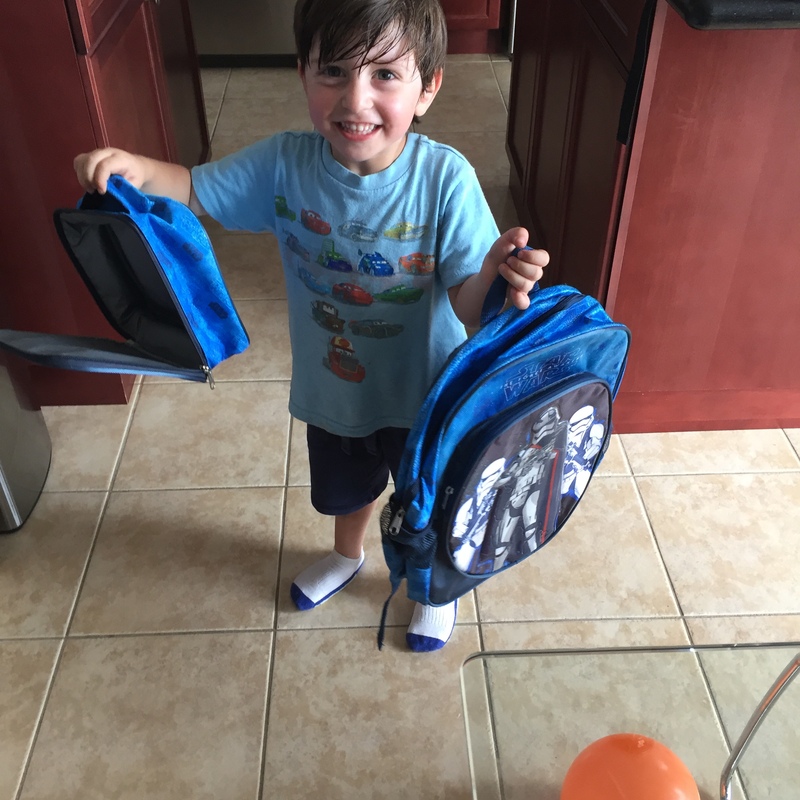 When Z started junior kindergarten I remember all of the anxiety I was feeling. And now, it is slowly starting to kick in. Ya, ya, I’ve been through it already with my first and I know what to expect. But with T it’s different. He’s my baby. And he comes with some extra ‘needs’ for his new teachers and school. So I can’t help but worry. T was a late talker. He only learned to start to speak around 2 years old, and has been in speech therapy ever since. He is still late when it comes to articulation and has trouble sometimes allowing everyone around him to understand him. He also has grown up with a horrible digestive system and gag reflex that can cause him to throw up if he doesn’t swallow or digest his food properly. These small issues have come with him everywhere he goes. It’s what needs to be discussed at every new ‘thing’ he starts; a program, a playdate, a new class, a new teacher, and now a new school. But that little munchkin, among his many trials throughout the first 4 years of his life, has made him the strong, independent, carefree, and fearless little boy he is now. These little things that we’ve lived through over the last number of years have made me anxious about his ‘firsts’. I know he will be fine. He is the most social kid (beware he kisses at his own free will) and makes everyone around him smile. But as a mom, you can’t help but feel the nerves of anticipation as we start something new. So as another chapter ends, another begins. And I couldn’t be prouder of him, or more excited for him as he begins his next journey.